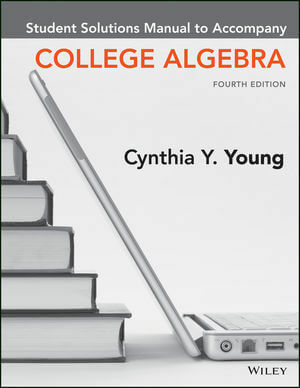 Cynthia Young’s College Algebra, Fourth Edition will allow students to take the guesswork out of studying by providing them with a clear roadmap: what to do, how to do it and whether they did it right, while seamlessly integrating to Young’s learning content. 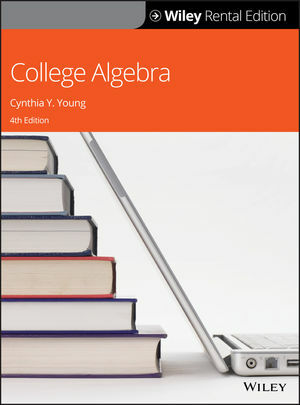 College Algebra, Fourth Edition is written in a clear, single voice that speaks to students and mirrors how instructors communicate in lecture. Young’s hallmark pedagogy enables students to become independent, successful learners. Varied exercise types and modeling projects keep the learning fresh and motivating. This text continues Young’s tradition of fostering a love for succeeding in mathematics. Cynthia Young received her BA in Math Education from UNC in 1990, has two masters, one in Mathematical Sciences from UCF in 1993 and a second in Electrical Engineering from the University of Washington in 1997. Finally, she received a PhD in Applied Mathematics from the University of Washington in 1996. She is already a tenured professor at UCF and is very actively involved in the supervision of UCF's graduate and undergraduate research assistants. Before becoming an award-winning Associate Professor at UCF, Cynthia taught High School. Cynthia received numerous grants and was named the principal investigator on six military and academic research projects. She has been an administrator/advisor to the Florida Space Institute at the Kennedy Space Center since 1998. Cynthia is a veteran presenter at conferences and conventions and has published over a dozen journal articles. In addition, she has been a contributor to several texts, including a College Algebra workbook for McGraw-Hill. Lastly, she edited the Marcel Decker's Optical Engineering Encyclopedia.